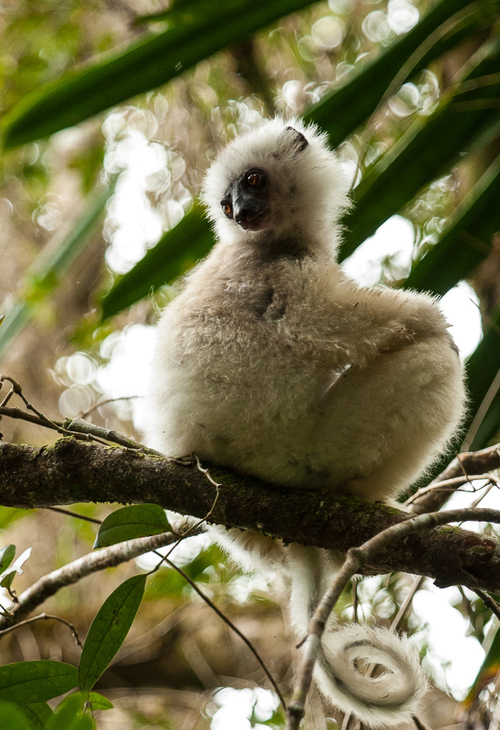 In Leading Conservation, we chat with conservation leaders with ties to Madagascar. We talk about their work, their triumphs, and their challenges. In this two-part post, we chat with Jeff Gibbs, whose career began at a young age when he founded Teenagers’ Response to Endangered Ecosystems (TREE Club). Since then, he has campaigned against dams in the Amazon, built WWF’s volunteer program in Madagascar, and so much more. 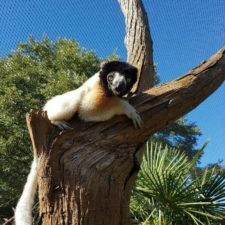 First, can you talk about your experiences in Madagascar? Jeff built the WWF volunteer program from the ground up. Photo courtesy of Jeff Gibbs. 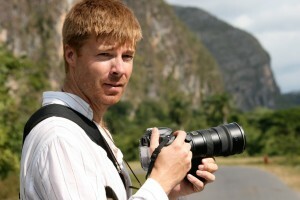 JG: I worked throughout Madagascar helping to build a volunteer program for the World Wildlife Fund (WWF). WWF has field projects in different places, and my job was to build the volunteer program from scratch. They had never formally brought on volunteers, so it took a lot to convince people in the organization that it would be worthwhile to do, and then to actually determine what the activities would be and where the people would be posted. Then, I talked to the community elders about what it would be like to have boarders in their village and the cultural considerations. So there was a lot of groundwork. It was fabulous exposure to the country and to grassroots organizations that were in those small communities. 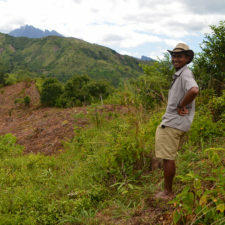 I never recovered from going to Madagascar; it’s a life changing experience. I have been back. I did another trip on my own that had a focus on family planning activities and how that relates to the bigger picture of nature conservation. The population surge in the country is such that it’s become the underlying issue that affects all humanitarian and ecological concerns. I met with a number of groups that were integrating family planning with either humanitarian or environmental efforts, and that was fascinating. You say that you never quite got over Madagascar. What do you think it is about Madagascar that really draws you in? 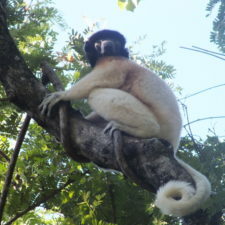 Juvenile Silky Sifaka (Propithecus candidus) in Marojejy National Park, Madagascar, 2007. Photo courtesy of Jeff Gibbs. JG: I think it spoils a lot of travelers because it’s so interesting. It’s hard to find another country that has so much going for it in terms of the unique culture, the fascinating geography, and the tremendous diversity of life there, especially for anybody who loves nature and can appreciate biodiversity. I’ve been to many other places that have a large degree of endemism. 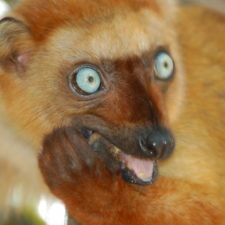 But when you go to Madagascar, you see that it’s another world. It’s been amazing to have those experiences and to help introduce other people to the country through the WWF program that I helped establish there. LV: Yes, almost every single plant and creature you see in Madagascar is unique and endemic to the island. It’s pretty awesome. A lot of your work seems to be about motivating young people to be active in their support of the environment. Why do you think that is so important? JG: I think it’s important because young people have not invested in the status quo. They’ve not committed yet to their career path or even the type of lifestyles they might have, so there’s an opportunity to really have a lasting impact on some of the big decisions they are going to make in their lives. That’s a key reason to invest in young people. I think I keep coming back to it for those reasons. Also, now that I’ve been doing it for so long, there are a few thousand alumni from those programs, and it’s interesting to see what it has meant for them. So I start to get a sense of the payoff down the line. LV: That’s got to make you feel good too. JG: Yeah, it’s anecdotal, so it’s not scientific in terms of real impact, but I think that there’s a potential to make a life long impact on a person with the right type of program. And I also think it’s an area where there’s been a lot of failure, including efforts that I’ve done, so it’s good to keep doing it in that sense. I think I’ve learned from my experience and the experience of others. 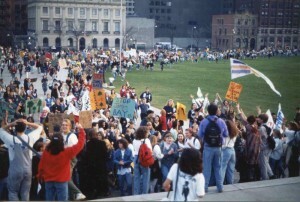 So, I still think there is a tremendous opportunity to engage young people in protecting the planet. One of your campaigns was when you were fairly young in the Amazon. Do you want to talk a bit about that project, and why you think it was successful? 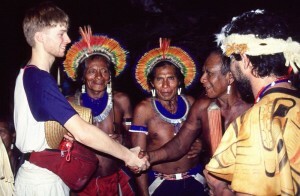 Jeff meets with tribal leaders in the Amazon. Photo courtesy of Jeff Gibbs. JG: This campaign was before social media, so it was an old style campaign of motivating the media, and having Sting involved of course made a huge difference. The Brazilian government had a very ambitious plan to build dozens of large dams in the Amazon, to generate electricity for industry. The problem with a lot of these projects is what they’re driven by. There’s demand for electricity, but it really has to do with how that electricity is generated. At this point in Brazil, they have very developed solar and wind industries, but the construction industries have a huge influence in government. We know from the protest in Brazil just a year ago, that there are always questions of corruption when there’s political sign off on these large projects. At the time, there was a plan to do construction in these pristine areas, where indigenous people had been living for a long time. They were not industrialized places. Some visionary chiefs of the tribes (that would have been directly affected by the dams) organized this unprecedented meeting of 26 tribal groups from across a part of the Brazilian Amazon. It was the first ever gathering of those groups — about 800 people from 26 tribes. It was a really sensational event for them to organize their future, their shared threat, and deal with that together by mounting a unified opposition to these dams. They held the meeting right at the site of the first proposed dam. Because of the brilliance of the organizers, they invited the international media and the Brazilian media, and it was at a time when there was a lot of interest in the Amazon. As a result, there were more journalists there than there were indigenous people, which is incredible because there were about 800 indigenous people. It got worldwide attention. The funding for the dam was through the World Bank, which is controlled by industrialized countries. There’s a voting process in the World Bank, so there was actually a way for us to influence the vote for those of us who were from some of those countries. So, the campaign was about educating people mainly in the countries where we could influence the World Bank vote. It proved to be successful, and it was a euphoric victory at the time. In part 2 of Leading Conservation with Jeff Gibbs, we will talk about how this Amazon campaign would be different if done today, how conservationists can stay positive and motivated when they face challenges, and how the Lemur Conservation Network can serve as an advocate for conservation in Madagascar.